I tested the PTS for a good three hours yesterday. Pretty much everything I wanted to check was crossed off the list. 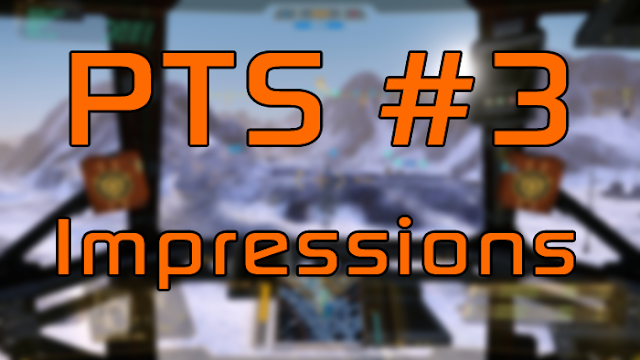 So today, while my memories are still fresh, I wanted to share my impressions and comments on the third iteration of the PTS. For my sanity's and the reader's sake I'll try to keep this on-point and concise. Check out this post if you want to see the individual changes. You can also watch me playing PTS #3 here. If you're ready, let's talk about the changes. This PTS also includes an array of per-variant Internal Structure and Armor Quirks intended to increase time-to-kill (TTK) across the board. These changes mean the Atlas is about to become a force to be reckoned with, while most Light ‘Mechs will be able to protect themselves considerably better compared to their current state in the live servers. This sounds extremely promising, what are the actual changes though? What they actually did is that they gave most variants a blanket armor and internal buff which shows up as "Additional Armor (Full Body)" and "Additional Internal Structure (Full Body)". No additional buffs to individual components. I don't know if this is the last extend of the TTK boosts since the loss of individual components buffs hurt some chassis's more than the others. A Centurion with blanked buffs to each component benefits more from it than a Hunchback who needs extra hunch health to protect it. I noticed a rather disappointing pattern for many 'Mechs. For example the COM-3A gets +10 armor and +12 structure to each component, making it a tiny little Atlas from hell. However, other Commandos get a meager +4 armor and +5 structure. I don't like this specific treatment. Do the other Commandos need less help than the COM-3A? Are they naturally more tanky? No. They need that treatment as much as the COM-3A to be competitive. It's the same with the other 'Mechs too. For example all of the Dragons except the 5N get +6 armor and +9 internals, while we have the 5N receiving +16 armor and +21 structure. Same thing here, other Dragons need this treatment as much as the 5N. PGI, each variant inherits the same advantages and disadvantages of its chassis. If you think one variant needs this much help, then the others definitely need it as well. I'm not against making some variants slightly tankier to emphasize their brawliness, but there shouldn't be a ridiculous difference. Since these are full body buffs, I think the light category gets the short end of the stick of these changes. The torso health is usually never a problem for the lights (except the Wolfhound and the Jenner), but leg health is never enough since that's where everyone shoots at. Almost every single light needs specific health boosts to their legs (hell, let's say +10) to ensure they're survivable. These blanket buffs don't really address that issue. Another pattern I noticed is that hero variants get better treatment. For example Jenners get absolutely nothing (except the Oxide) and Firestarters get nothing too (except the Ember). The Huginn gets ridiculous buffs compared to other Ravens (it might get away with it since it's brawly). Same story for the Awesome and the Quickdraw. Their standard variants get absolutely no health boosts while their hero variants get armor and structure bonuses. Again PGI, if you think a variant needs help surviving, then every single variant needs them. Period. This is not always true though. For example the Protector doesn't get anything at all while standard Orions get some health buff (Again, why? It's an Orion after all!). Finally I was sad to see some variants know for their "tankiness" go. For example the Zeus loses its only redeeming quality; its massive armor and structure quirks. In fact, it doesn't get any buffs at all. PGI, please keep the characters of the 'Mechs you established with the quirks! There are also a lot of variants that didn't get what they deserve, but I'll stop here. Overall, a good idea, but please put more thought in it PGI. And no variants with double or triple amount of buffs compared to others. I did not test it in the previous PTS since I thought it wasn't mature enough, but yesterday I put in a lot of time in it. So basically, your laser optimal range is reduced by 40% if you're not locked onto the 'Mech you're shooting at. You don't get any hitmarker feedback. You also can't use friendly locks and always have full-range. Even if you're using a friendly lock, your 'Mech needs to have a LOS and must acquire the target on its own before raising the optimal range. First of all, in the beginning this is annoying to play with and unnecessarily complex. Instead of playing with the weapon values themselves, PGI insists on implementing these unintuitive changes. At this stage I reckon they'll go ahead with it since they probably want to get this "rebalance" out of the door ASAP before the Steam release, so let's talk about what this change does to gameplay. It nerfs laser vomits, hard. This is a nerf on the scale of JJ and PPC changes when the Clans were released. Suddenly, your favorite ERML/ML laser peeker/poker won't work as well at range and you'll have to get close to 200-300 meters to get the full peformance without a lock. Depending on your lasers, you're pretty much forced to get really close. Now, I'm not going to call this change negative right away. I'm one of those who thinks ridiculous laser vomit alphas don't do good to the gameplay. This basically prevents those huge alphas evaporating stuff at 400-600 meters without breaking a sweat. It might be a really weird way to do it, but it does it anyway. C-LPLs and C-ERLL still have a lot of reach (360M and about 450M without a lock) so you still can do some work at range, but you can't boost your damage with the inclusion of ERMLs. However, IS gets the shaft in this regard because their lasers don't have as much range. So without locks, forget about your C-LPL/ERML boat sitting behind a rock and shooting across the map. You can either do it with C-LPLs only, get some locks miraculously (more on that later) or simply get closer to the fight. However, our beloved Infotech comes in to play here and makes locking harder for pretty much every 'Mech. See, some 'Mechs have inherent delays for targeting enemy 'Mechs. So even if you have an enemy in front of you and in sensor range, you can't lock them before you go through that delay. The delay ranges from 0.5 seconds to all the way to 4.5 seconds (maybe even more), depending on your 'Mech and omnipod combination. Especially the current notorious laser vomits are already pre-nerfed in this aspect. The Dire Wolf comes with a whopping 4.5 seconds of targeting delay, while the TBR has about 3.5 seconds with laser omnipods. Generally lights have less delay while assaults get ridiculous delays. What this delay does is that it prevents you from doing successful peeks and being effective in certain situations. You have to keep the enemy in sight for a long time if you want to apply damage, period. 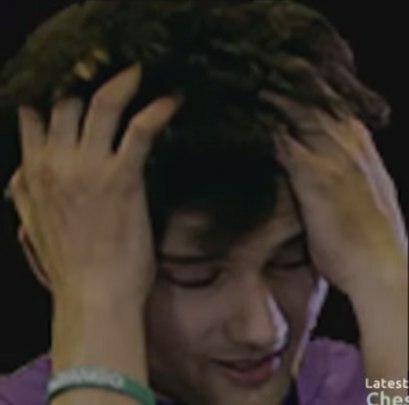 I had an instance where I was in a brawly Dire with SPLs charging the basement on HPG and there were all kinds of 'Mechs running in front of me and I could not target any of them with that monster 4.5 second targeting delay. It was incredibly frustrating to have 4 'Mechs right in front of you, but being unable to lock them or even get doritos on them at all. It wasn't fun and it won't be fun for many people. PGI is basically taking fun out of the game in order to balance the game in an incredibly weird way here. Lastly, the lack of hitmarkes with no lock. This is at first annoying since we're all used to getting feedback on every hit (not to mention our brains are addicted to that marker turning red). However after a few rounds it got betters as I got used to it. It really drives you to get locks. Well, laser vomits are suddenly bad. What do?! Of course, PGI knows people will flock to the good ol' trusty, Gauss+(ER)PPC combo. So they nerfed the Gauss cooldown by 1.5 seconds (up to 5.5 seconds) pre-emptively. Including the cooldown, that's 6.25 seconds between each shot, an almost 25% nerf to its DPS. It also desyncs it from PPCs. Honestly, I like it. We all knew that the Gauss was too good for what it was. It had the DPS to be used at all ranges while having only one real drawback, explosions. Which can be somewhat remedied by shifting its position to arms, where it'll rarely get cored compared to the torso. I tried the Gauss, and honestly it's still a good sniper weapon now. In a long-ish match you can still pull off good damage with it. However whenever you're pressed close range, you'll feel the lack of DPS. It just won't be enough and you'll need to rely on your back-up weapons. Another cool side-effect is because the Gauss cooldown is longer, and we tend to sync our Gauss releases with our PPC releases, this indirectly nerfs the (ER)PPC DPS at long range too. You can either wait until your Gauss reloads or choose to release them seperately which exposes you longer and involves more aiming other than quick snapshots. I've seen some people trying to revive the AC5+PPC Victors, but honestly, I think Gauss+ERPPC sniping will be the way to go after the rebalance. No locks required, fast projectiles and fast bullet travel time. Minimal exposure. It's a no brainer. Expect the Gauss+PPC Timber to make a comeback and you'll see a lot more Summoners as well. People will always find a way to maximize their fun and minimize their opponent's fun. The Dragon Slayer with AC5+PPC might come back, but it can't trade with Gauss+ERPPC snapshooters. AC5+PPC are considerably slower than they were before and if my engagements yesterday showed anything, Gauss combo will triumph every time at range. We're going back to the trench warfare folks! Ready your Gauss and PPCs. This was another thing I was genuinely excited about. They made the AC2 a crit-seeker weapon with a monster double-damage when it crits. Basically a machine gun that does way more damage and without a silly cone-of-fire. They did it. AC2s feel really good now. Until you go through armor, nothing is changed. You only put dents in their armor. However as soon as a component opens, the AC2 rips it apart. It's ridiculously effective. It's not OP or anything though. The weapon still spreads damage all over the enemy 'Mech and needs a unhealthy amount of face-time, so it's nicely balanced. 6xAC2s are probably the last thing you want to see if you have a component open though. This a big, big change. Now we're no longer getting those ridiculous bonuses from basics and eliting 'Mechs. Honestly after trying it, I like it. 'Mechs behave like the classes they are. Lights and mediums are only slightly affected but heavier 'Mechs feel considerably different. Even a TBR feels slightly sluggish. When you move on to assaults, things get seriously sluggish. You're in trouble if you have a tiny engine in your assault right now as its mobility will suffer a lot. A Dire is absolutely helpless at close range and won't react well to targets suddenly popping up at mid ranges. At this point, your engine size gains importance. A BNC-3M with a huge XL in it is still very controllable for example. But drop to a STD300 and you'll feel the "floatiness". It's not unplayable by any means but you can't make your Assaults "all-in-one" 'Mechs without sacrifices anymore. You can't have a tiny engine assault and expect to have the reaction time. I think it's a good trade-off. However, with the basics and elites mostly gutted, the skill tree is mostly meaningless right now. They really should just scrap it and introduce a skill tree that involves actual choices with trade-offs and specialization paths rather than straight up buffs. With the function of the ECM changed from being a jesus-box to an AM receiver, I thought lurming would get much more easier. LRMs are also both buffed (less spread) and nerfed (longer cooldown). Honestly, I didn't notice much of a difference. If you're in a big and slow LRM boat, chances are you get a bad targeting delay and you'll struggle to lock stuff anyway. The ECM and Radar Derp are still effective because ECM introduces a nasty targeting delay, while the Radar Derp immediately breaks lock. I didn't do too badly in one lurm match I've been in, but it's a very small sample. I think Radar Deprivation is too strong in its current form. Since targeting takes a lot of time already, when you keep breaking it constantly with the Radar Deprivation it becomes impossible to hold a steady lock at all. They really should look into it. They did the most logical move to be done and buffed the SRM speed. It went from 300 m/s to 400 m/s, a massive jump. I tested it a few times and the flight time makes them indeed easier to aim. At least you don't need to face hug your opponents to get your shots in. I'd say this extends the SRM no escape zone to from about 100 meters to 150 meters. A decent change, but it's yet to be seen how effective. They really should think about buffing the damage as well if this is not enough. I did not test the SSRM buffs, it's just not worth it. They all get 50 m/s so it should be noticeable though. Clans definitely did not need it. With the amount of targeting delays though, I doubt we'll be able to get proper SSRM shots off on lights anyway. Clan DHS got a slight nerf (heat capacity down to 1.1) but honestly it was hard to judge the impact because of the skill tree changes. Since Clans can bring a ridiculous number of DHS compared to IS, it should be fine however. MPL heatscale is a change and it only affects select IS 'Mechs like the TDR, GHR, BJ and the BNC. Honestly considering what Clan laser vomits are capable of, there was nothing wrong with it. What's worse IS MPL is capped at 6 while Clan MPL is also capped at 6, a weapon that is much more capable and versatile. PGI really needs to think about IS vs Clan balance in terms of ghost heat caps at this point. As I mentioned (and did some math) in the previous PTS post, the SHS changes are irrelevant in the grand scheme of things, except for a few niche AWS or BNC-3M builds. As always, there is some good, some bad and some ugly. About the bad and ugly stuff; PGI has some good intentions, but the way they do it is unnecessarily complicated and takes fun out from the gameplay rather than introducing it. Laser lock requirement is the prime example. There are also good stuff like SRM changes, Gauss nerf, skills nerf and some of the TTK changes that I really liked. I think if they stopped trying to make "infotech" relevant, the changes will turn out to be mostly positive. It's taking fun out of the game. Focus on weapon values themselves instead and solve the real issue. We tolerate Ghost Heat but laser locking system is taking it too far to be enjoyable.